The Dallas West End is the place in downtown Dallas to eat, explore, and stay. 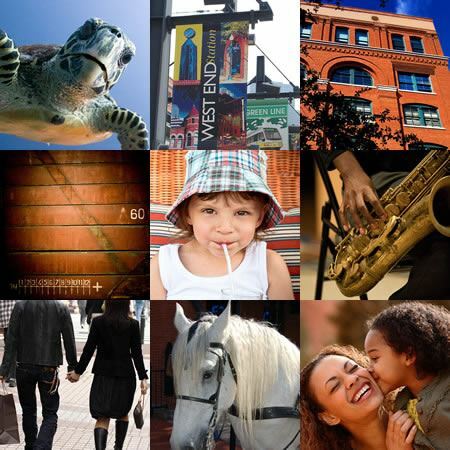 With dozens of Dallas attractions in less than 5 miles, the Dallas West End is a great place for Dallas visitors and Dallas residents to discover the many treats and treasures Dallas has to offer. The Dallas West End, the historic district located in the West End of downtown Dallas, is where Dallas was born with the Caddo Indians settling on the land that is now the Dallas West End in the early 1800’s. John Neely Bryan purchased the land and established the first trading post along the Trinity River in the mid-1800’s. The Houston & Texas Central Railroad arrived in Dallas in 1872 and the buildings and warehouses that the Dallas West End is known for today began to spring up. With a wide variety of restaurants, attractions and activities in all directions, the Dallas West End is a great location to center your exploration of downtown Dallas. The DART West End Station provides quick and convenient access to downtown Dallas and the Dallas West End or find ample parking throughout the Dallas West End. Must-visit Dallas West End attractions include the Dallas World Aquarium, Sixth Floor Museum and the Dallas Holocaust Museum. Just a few blocks north, find some of the finest art collections in the world at the The Dallas Museum of Art, Nasher Sculpture Garden, and Crow Collection of Art. In between your Dallas West End explorations, take a break to refresh with a margarita on a patio or grab an ice cream and enjoy some Dallas West End people watching. A Dallas location popular with both the millions of worldwide Dallas visitors and local Dallasites alike, the Dallas West End is an energetic mix of cultures, with people of all ages enjoying the unique Dallas West End environment. Known for its many and diverse dining opportunities, Dallas West End restaurants provide fare ranging from the simple to the sublime. Pasta, seafood, Mexican, BBQ, steaks – no matter your taste or budget, the most delicious dining is found in the Dallas West End. Whether stopping for lunch on the patio, relaxing over a cocktail with friends, or enjoying one of the best dinners in Dallas, the Y.O. Steakhouse Restaurant’s 100-year old brick arches, iron accents and authentic Texas décor, provide the perfect atmosphere and a dining experience that will not soon be forgotten. and only one block from the Dallas West End Station in downtown Dallas. Call 214-744-3287 or book online. Your table will be waiting when you arrive.